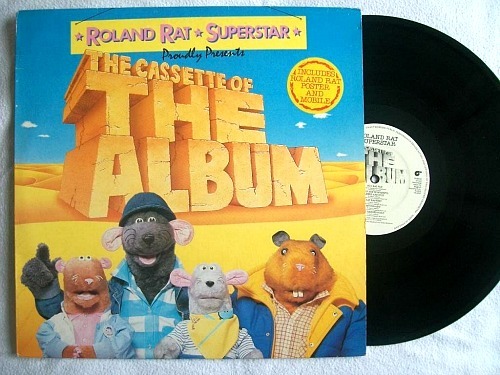 Now don't get me wrong, I adore Roland Rat as I grew up watching him through the 1980's. And he also saved TV-AM (ITV's 80s breakfast TV show) from sailing into the doldrums, by boosting their viewing figures from a mere 100,000 to 1.8 million! However, you have to admit that this is a simply terrible cover of Elvis Presley's Love Me Tender. This actually reached #32 in the UK in 1983, although Roland Rat's biggest hit was Rat Rapping (see video below) which reached #14. Now that was quite an amusing song, but this is one step too far! 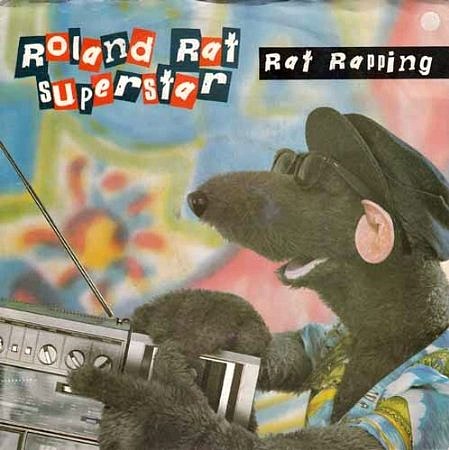 Between 1983 and 1985 Roland released three singles, with the last one being No.1 Rat Fan which failed to get anywhere near the Top 40, peaking at #72. All three songs featured on the album entitled The Album Of The Cassette. The LP version of the recording was, confusingly, called, The Cassette Of The Album.